I am hoping that those our compatriots who shout down people who always want to take Nigeria’s challenges to God in prayers will be eating some humble pie now. I am hoping that by now, they see some sense in the insistence of people of faith that God is interested and in fact, influences the affairs of men, when some people boldly stand in the gap. For years, the refrain of many Nigerians who see themselves as pragmatic is that our people pray too much. And that there were more practical things that we could spend time on other than praying day and night like our lives depended on it. While I agree that there is a measure of demand for self-motivated action on the part of the person praying from the Supreme Being himself, I never shy away from the reality that man sometimes grapples with issues that neither his wisdom nor strength would ever resolve without some divine intervention. Nigeria has, in my opinion, been in that situation twice within the last 12 months. And I think that should be enough for us to agree not to ever alienate God from our affairs. Not after the two incidents that I will now discuss. Sometime in July 2014, Nigerians woke up to the dreadful news that the highly contagious and deadly Ebola Virus Disease had been imported into Nigeria by a 40-year-old Liberian, Patrick Sawyer. Fortunately for Nigeria, the late Sawyer was moved from the airport where he presented ill to First Consultants, a facility, apparently ingrained in global best practices in the medical field. And so, Nigeria was able to contain the disease within three months although not without the loss of Dr. Stella Adadevoh, the physician who raised a red flag when attending to the Liberian, and six other persons. Adadevoh would forever remain the heroine of Nigeria’s successful battle against the dreaded EVD. But I have not stopped asking myself what would have happened if the virus had been imported into Nigeria by another Liberian who did not have Sawyer’s status. The late lawyer worked for his country’s finance ministry and was cleared to attend a conference of the Economic Community of West African States, so he had access to the frontline hospital. But what if the EVD was imported into Nigeria by one of the hundreds of thousands of West Africans who sneak into the country? What if such a person had stayed in some densely populated area of Lagos under self-medication? What if he had been taken to one of our numerous general hospitals where patients may have to be admitted on the corridors until there was a vacancy in the ward, where medical personnel, when not on strike, are too angry or absent minded to observe safety procedures? What if the outbreak had been in a rural community where common primary health care is a dream, where superstitions reign? How would Nigeria’s largely non-existent health systems have responded to such an outbreak in places where there may not even be motorable access roads? I think that God knew our limitations and answered the prayers of millions of Nigerians who took this issue to him. Then, how does anyone deny the hand of God in the peace that we currently enjoy in Nigeria? Despite the shortness of the human memory, most of us should remember the apprehension with which we approached the March 28 presidential election, even the world was scared for us. Everyone waited for the bubble to burst. Peace initiatives fell on one another, peace accords followed in an unprecedented manner. Rumours of war followed threats of civil disobedience and above all, unauthorised arms and ammunition were in private hands in their millions. Someone put up a show that could have derailed the collation of results in Abuja and we would read later that there were plans to kidnap the Chairman of the Independent National Electoral Commission, Prof. Attahiru Jega. The 48 hours between March 29 and March 31 remain the longest in the recent history of Nigeria. 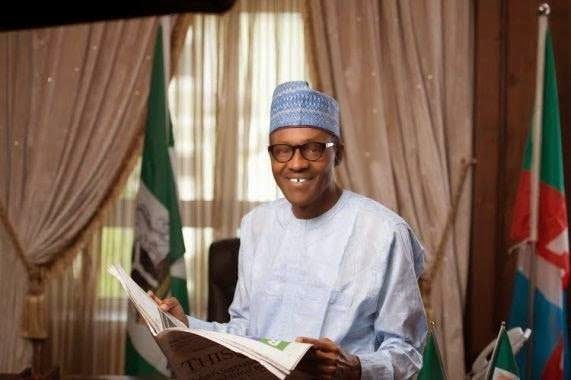 And then at about 6:15 on Tuesday evening, when the whole world, including Gen Abdulsalami Abubakar, head of the National Peace Committee for the elections, was waiting for the worst, President Goodluck Jonathan placed a call, almost insignificant in content, but redeeming in import to concede defeat and congratulate his main challenger, Muhammadu Buhari. And peace, which passes the understanding of men, descended on Nigeria like a dove. No man is able to explain this away. So, will there be so many things that would confound Nigeria’s new President when he takes office in about 29 days? For starters, the challenges are so enormous and contending that it would take divine wisdom to know where to start from. Secondly, the new President would soon find an assortment of people and situations crowding over him. There would be the good, there would be the bad, and there would be the ugly, all craving his attention at once. A president would need the benefit of divine discernment to survive this onslaught. There would be a lot of pressure on him to pander to primordial sentiments. People of northern extraction who fought for his electoral victory will remind him of all that they invested. They would bring back stories about those who did not vote for him and how they should not reap where they did not sow. The South-West will demand patronage; the South-South and the South-East will shout marginalisation. The cacophony would be great and tiring and deafening. Buhari would need a lot of courage to realise that he should be the President of all. He would need special grace to see that those who voted for him and those who did not, those who are his kinsmen and those who are not, those who are of his faith and those who do not must benefit from the mandate which he now holds. Buhari needs divine help to be of the right temperament, to be compassionate and shun any act tending towards vindictiveness. He needs a large heart which only heaven is able to give. He needs the courage to do what is right, divine direction and help to put the right people in office and withstand the enormous pressure that is in the offing. This is the situation when a new sheriff comes into town anywhere in the world but it is more so in Nigeria where a lot of people have made politics their means of livelihood and can do anything to survive in the murky terrain. And then, there is the rarely spoken of but real spiritual battles that the President will fight. Marabouts, pastors and traditional religious practitioners will be engaged to manipulate him. People will approach him with amulets dangling on their waists, necks or sleeves. Some would lace their mouths with powerful “juju” expecting that everything they say to be big man must go unquestioned; it is a life that he must not go alone! And this is why you have to pray for him, we all have to. Once he takes office on May 29, everything Buhari does or does not do affects your life, maybe not just yours, possibly even that of your generations. We must be mindful of the fact that as we have people who want Nigeria to move forward so we have people who would prefer the status quo to remain. It is therefore in the interest of all of us that Buhari does well for Nigeria, whether you voted for him or not. Four years is a short time and that is why you must start to pray now, in any way you know to pray, such that when we look back in four years, we will thank God that Nigeria is better and that you did your bit by praying for the man that God chose to lead us.